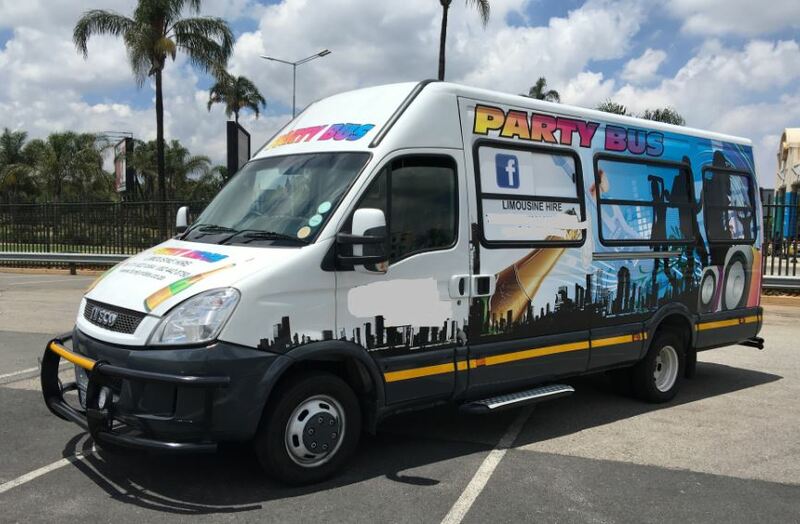 Carries 18 passengers, chauffeur driven, rate within 150km round trip of either Johannesburg or Pretoria. 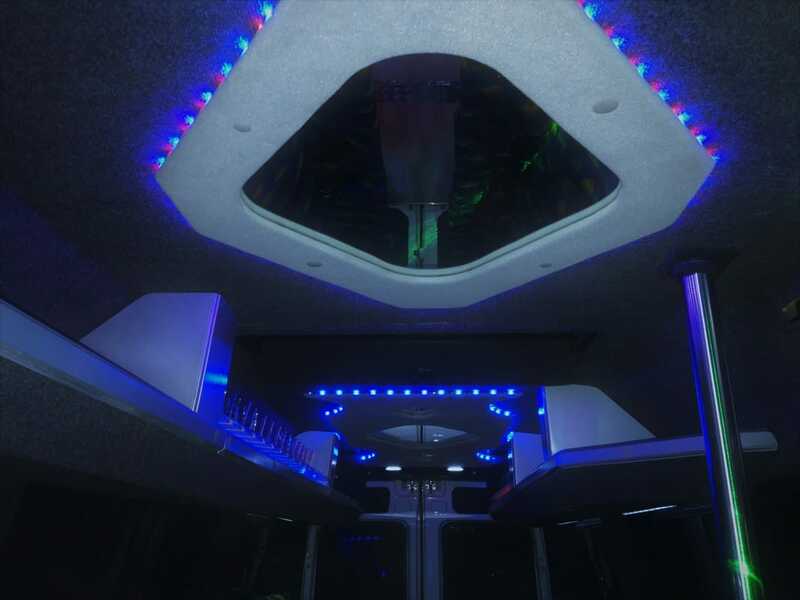 Excellent sound system, stripper pole, 2 bars , HD TV, air conditioning and led party lighting. Glasses(plastic), Ice and Music excluded. Please bring CD's or USB stick to connect to sound system.